I was introduced to La Colline by SaSa Malaysia recently. If you don’t know yet, La Colline Cellular Research Laboratories were founded in 1997 in a natural setting of rare purity: the sheltered valley of the Rhone River in the Valais Canton of Switzerland. By offering products of the highest quality backed by top-level technical expertise, much like the Swiss watchmaking industry, La Colline soon became a reference in premium skincare. Unique in the world, synonymous with effectiveness and reliability, the La Colline brand is now well-known and respected in more than 25 countries including Malaysia. This April, the science experts at La Colline are offering a dual innovation at the heart of their new anti-aging formula: NATIVAGE. Based on the most recent breakthroughs in the fight against cutaneous aging, bis the first comprehensive anti-aging skincare to offer the ultra-effective action of Eco-Regeneration. An extraordinary active ingredient, Cell Life Extender, recycles free radicals into energy that the cells can use. Once it is initiated, the process continues indefinitely. Its action is supplemented by the three properties of the new CMAGE® Complex: oxygenation, hydration and protection. The cells' optimal metabolism is restored. Definitely something that I need for my 30's skin. In conjunction with the grand launch of La Colline’s NATIVAGE skincare range, I was honoured to be invited to enjoy the exclusive La Colline NativAge Facial Massage Treatment at SaSa Sunway Pyramid last week. 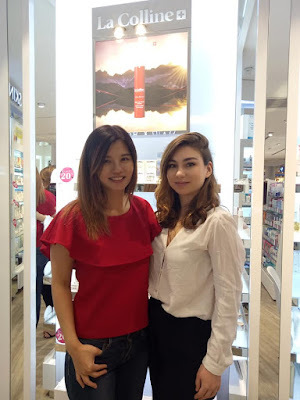 There, I met the beautiful Miss Jessica Ecolasse, International trainer and retail developer of La Colline. I adore her glowing skin and I really like her great massage skill. La Colline NativAge Facial Massage Treatment started with a double cleanse, scrub, tone, mask, tone and moisturiser. Throughout the one hour treatment, Miss Jessica Ecolasse has performed some very relaxing massage on my face, neck, shoulder and hands. 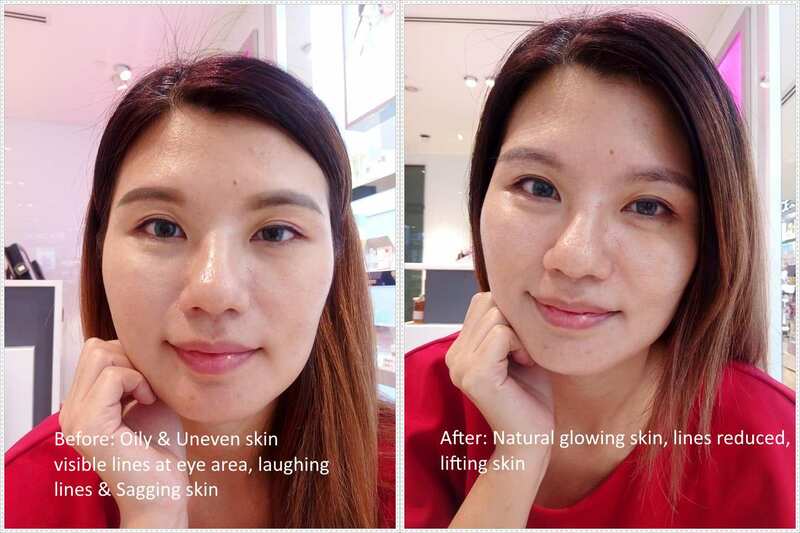 In fact, it is really good as facial massage promotes blood flow which brightens our complexion, and increases muscles tone to make our skin more taught and lifted. It also encourages skin cell renewal and toxin release reducing puffiness and common signs of fatigue. It is deeply relaxing experience with fast, visible and spectacular results. Energized and ideally oxygenated, the skin recovers its firmness and radiance. Hydration and protection are boosted, allowing the skin to regenerate itself. Wrinkles and fine lines are reduced. The best part is, all La Colline products used during the facial treatment smell divine. I couldn't stop myself from fell in love with this top quality skincare brand from Switzerland and I can’t wait to try more.